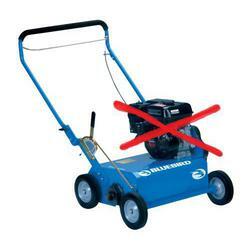 -The Bluebird Walk-Behind Power Rake features a Flail Blade Reel: Free-swinging flail blades efficiently remove matted thatch with centrifugal force. This design provides excellent thatch removal and reliability proven over nearly four decades in the demanding rental equipment environment. 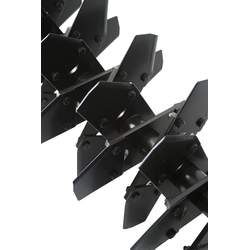 -Delta Blade Reel: The 12-gauge austempered steel delta blades have a unique angled position and beveled cutting edges that cut slits in the ground for dethatching, overseeding or aerating slopes and terraces. 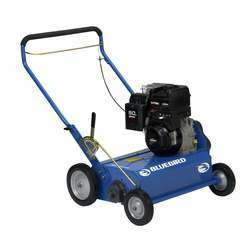 Ideal for thinning running-stem grasses like Bermuda and St. Augustine. 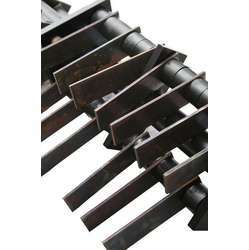 -Spring Tines: Spring tines efficiently remove thatch from well-manicured lawns. 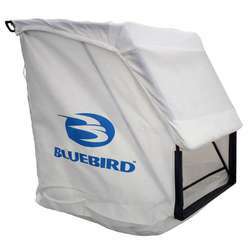 In addition, individual Bluebird spring tines can be quickly replaced without removing the reel assembly. 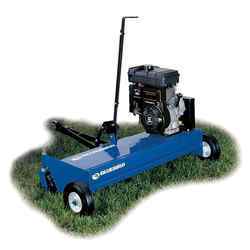 -The Bluebird Towable D110 makes short work of large yards, commercial or institutional lawns, golf courses and playing fields. 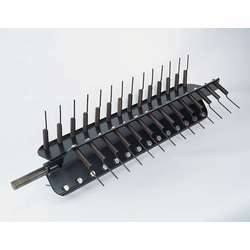 -One hundred counter-rotating spring tines over a 38"" width make this towable comber extremely efficient. 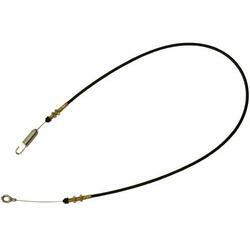 -A lift handle engages the spring tine reel which is chain driven by a 5.5 HP Briggs & Stratton engine."